Is it possible to be up-to-date but keep your romantic ways at the same time? Use a software diary! I am so glad to be writing in you again! It's been ages since I wrote my last entry, and there is just so much to tell you – so much news, so many decisions – that I just do not know where to begin. First, Steve Jobs is no longer with us. Second, Rebecca Black topped the Google's annual Zeitgeist search entry ranking. Third, Minecraft was officially launched and finally left the Beta stage (oh, and there was that other game, called something like 'Skyrhyme' or 'Shy Rim', or whatever). And last but not least: this is, probably, the last time I am writing in you. It is not you, it is me... You know, as all these on-line journalists say, we live in the age of globalization dominated by ubiquitous IT-technologies, which are permeating every part of our life. In short, I want something more up-to-date and you are just not. My friends are laughing at me when they see that I am writing down my thoughts on a piece of paper, and you know what... It's time to change that! I work in the IT field - I type three times as much information using a keyboard as I write down with a pen. I want to keep up with the times and that means you don't fit into my new image. So, I decided to look for a nice software diary that could replace you. Now, as I have bid farewell to my old-fashioned paper diary, it's time to explore Software Informer in a quest to find some nice piece of software to share my inner thoughts with. Before I even downloaded the program, I already found one significant drawback of this program: it's shareware. No freebies. The price the Russian developers are charging for their neo-styled diary is everything but fair. If you want to get a fully functional copy of Smart Diaries Suite, you'll have to fork out almost forty greenbacks. Yes, for a diary program. Yes, forty bucks. Heeding that the Student and Home edition of Microsoft Office is available starting at 119.99 bucks, it feels a bit expensive to pay a third of this price for a mere diary. All in all, I've got exactly what I was expecting to see from this software. Quite predictably, it functions mostly as a time-management tool. About 90% of its features are aimed at creating and managing your task entries. First-time work with a task creation dialogue box is a bit confusing, as is almost always the case with 'whatever management' programs. It is not as horribly intricate as it looks. After finding your way through abundant dialogue box fields, creating new tasks and scheduling events, working with the program becomes as easy as pie: dramatically decreasing the time it takes to create an event. The interface is quite good as well. Although I would not give the program the 'Most Intuitive Interface on Earth' award, it can boast with an understandable layout and comprehensible icons. After a small adjustment period, which, unfortunately, takes a bit longer than learning of how to handle the app's dialogue boxes, you can find the needed entry in no time. 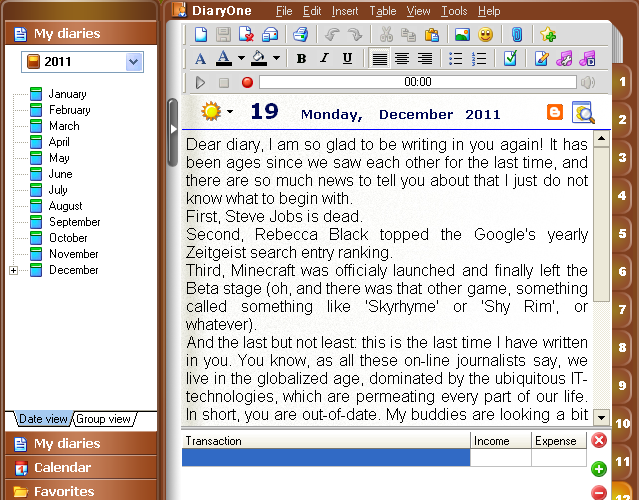 Still, Smart Diaries Suite abounds in small drawbacks. 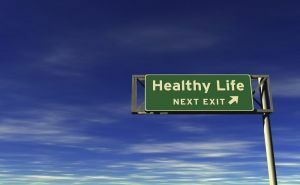 First, there a lots of issues with the Life Factors functional area, used in creating or viewing a new diary entry. That's essentially an RPG-styled pane, where you can put in your stats... I mean, your life factors information, for example, 'Fatigue', 'Shape' (I searched for the option 'Round', but found only 'Healthy' and the like), and, surprisingly 'Copulation'. Yes, you've read it right, 'Copulation'. Of course, I know that some people may write about such things in their diaries, but I don't think many of them refer to that action with that very word. What's more, I don't think they write about it in the way that the application suggests: by putting a checkmark. 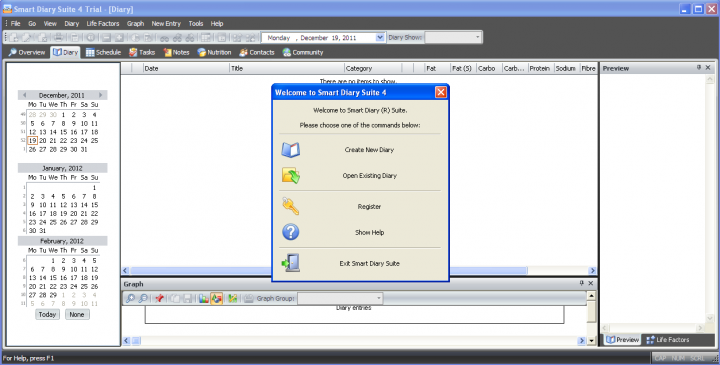 This program is approximately 33% better than Smart Diaries Suite in that it costs only 30 dollars. That's a good start, isn't it? 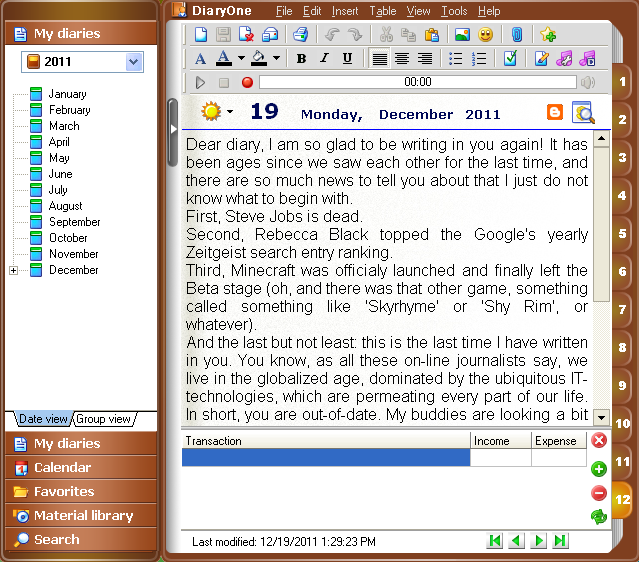 As you can see in the picture, DiaryOne is more of a classical 'dear diary' type than a time management tool like the Smart Diaries Suite. This program is all about writing long, lyrical journal entries, devoted to lamenting the suffering loving heart, and not marking copulation events in a check-box. There is not much to say else about DiaryOne, however; and that's the worst thing one could say about a thirty-dollar piece of software. As I didn't use my diary for time-managing purposes, this program does somewhat suit me, but... But 30 dollars is substantial expense for a college student – this purchase has to be careful evaluated. At last! At last I've found what I was looking for! It happened the moment I was about to lose any hope of completing my task and finding exactly what I need! 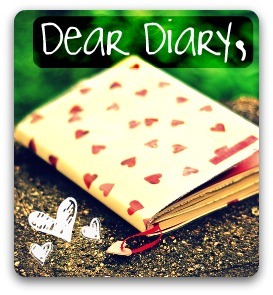 So, what do you think about MyDiary? Nothing to write home about? Exactly! But they don't want you to pay for it, which makes this austere design irresistible. The diary concept is reduced in this program to the utmost limit. You can create entries, you can save them, and that's it, basically. 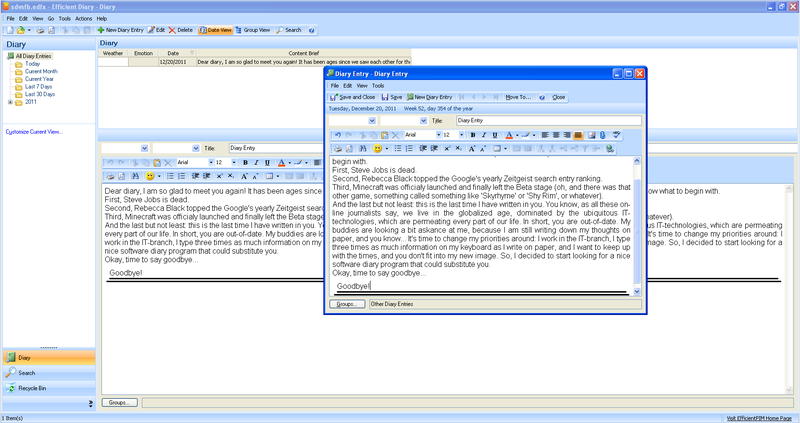 The interface is similar to the old Microsoft Word versions (funny that it's not the first time this comparison has occurred in my articles), so if you happened to work with Word 2003, it will be no problem for you to start creating new wonderful texts in MyDiary. This laconism, combined with the free-of-charge basis, on which MyDiary is delivered, makes it my diary software of choice. So Nice. But I think diary paper would be better that website diary (my opinion). 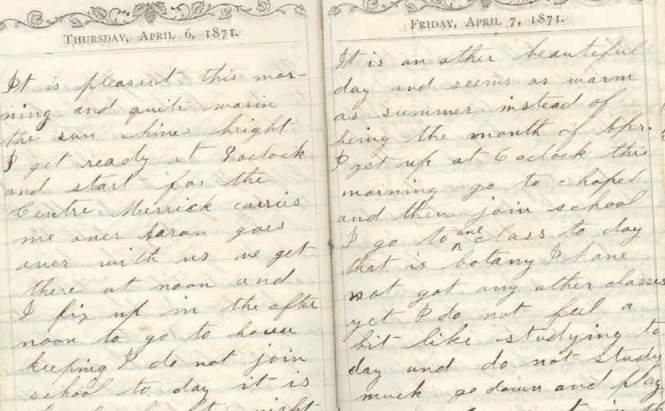 You lnow, I just thought that writing in your paper diary is not much different from writing in any other book, unless you stage up a whole Victorian age style drama, so I don't think that all that paper thing brings us away from the everyday life.